Happy Sunday! Been a while since I actually wrote something in my blog…life has been crazy for this full time working mom. It took finding this pink Coach Madison Georgie bag, now carried at the outlet stores (from retail) at 50% off, for me to post this short blurb. 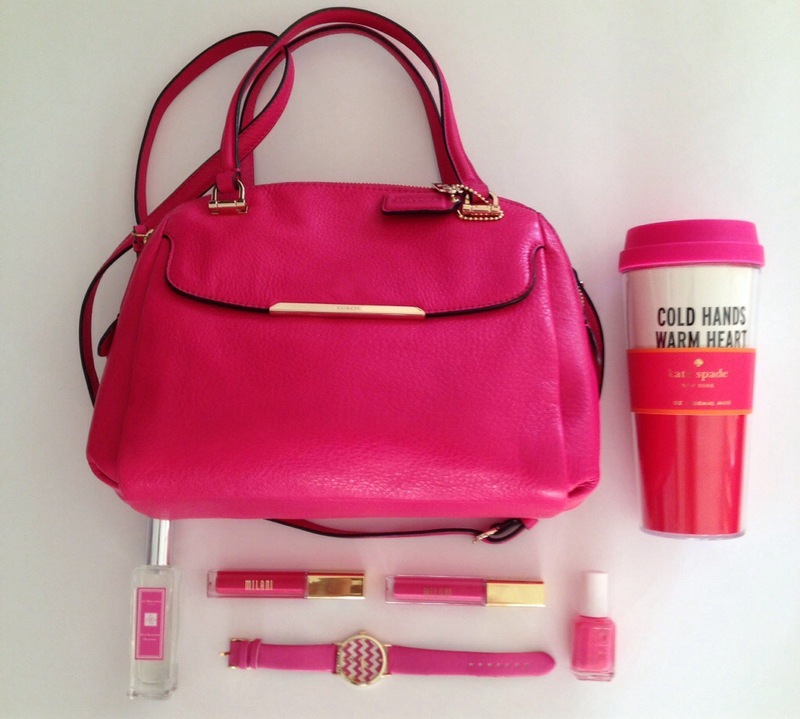 Love this cute crossbody hot pink number! See list below of other items in collage. Enjoy your week!